There aren’t many restaurants that can say they’ve been around for half a century. But here in Austin, we found one that has earned that distinction. 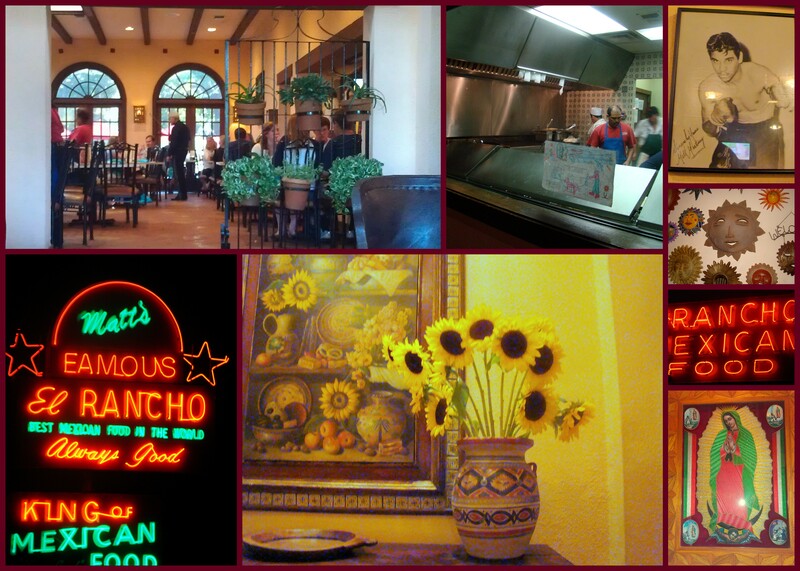 Matt’s El Ranchero has been an Austin family business since 1952. While we looked over the menu, we were serenaded by an excellent strolling Mariachi group (a plus since we have a soft spot for Mariachi bands…we had one at our wedding!) While we waited for the food to arrive, I walked around and looked at the collection of Mexican artifacts and family photos scattered around the restaurant. You can even look into the kitchen and watch the food being prepared! It was like getting a peek into the family behind Matt’s, and I loved that family feeling. Then it was time to eat. A word of advice….if you go to Matt’s, go hungry! The serving are large, and the food tastes too good to leave any on your plate! The menu has lots of options for meat-eaters and vegetarians alike, and the staff was happy to answer questions about ingredients, make substitutions and even combine several menu items into one to meet dietary needs. There’s a good kids’ menu, with choices beyond standard chicken fingers, so kids can enjoy Mexican food along with mom and dad. Sure, there are chain Mexican restaurants in town. But with a local family place like Matt’s around, who needs mass-produced? This entry was posted in K is for Kids, L is for Lunch, S is for Supper, V is for Vegetarian too :-). Bookmark the permalink.